There are more listicles than ever these days, and for what it is worth we have tried very hard to not succumb to the temptation of flooding our front page with every meaningless list we could conceive. We pride ourselves on crafting content we would actually want to read ourselves, and though it hasn’t always been the most successful way to run a site, it has served us well so far. Recently, we decided to begin doing more lists, but only if we found some topics worth discussing at length. After a few ideas, we ultimately settled on ranking the best songs from today’s biggest bands, which we hoped would inspire some lively debate across the alternative music blogging landscape. Whether or not that happens remains to be seen, but we’re excited to try nonetheless. 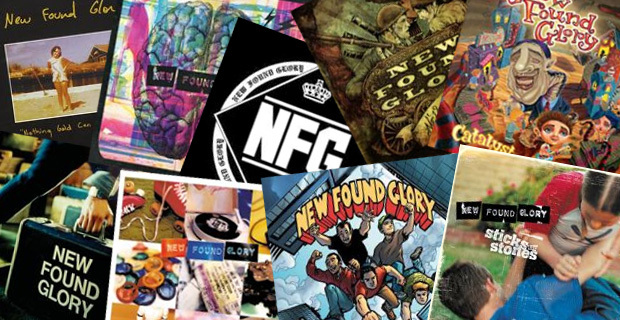 Whether you consider yourself a lifelong defender of pop-punk music or someone who only enjoys it from time to time, there is very little chance you have made it this far in life without hearing the music of New Found Glory. Formed in 1997, the Florida natives have carved a lasting place in the world of punk with their infectious, pit-inducing songs of love, loss, and friendship. They have toured the world several times over and released no less than eight studio albums, in addition to a live record, two collections of cover songs, one greatest hits compilation, three EPs, and two splits. In total they have released more than 200 songs, and if you asked around enough you could probably find 200 people who would each pick a different song as their favorite.